As a total solar eclipse reaches ever-closer towards totality, your surroundings begin to change. Colours begin to lose their contrast and shadows on the floor become much sharper. 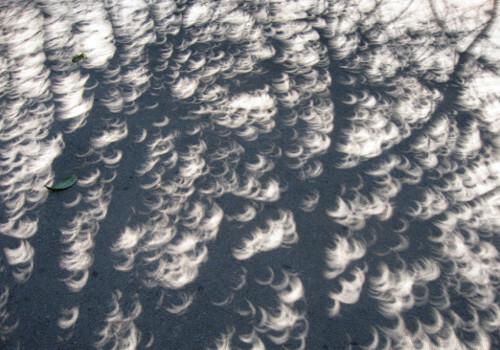 One of the most noticeable effects are the little crescent shadows that appear on the floor. Anything that can cast a shadow while allowing small amounts of sunlight to peer through can create this effect. Trees tend to be good at showing this off quite nicely. 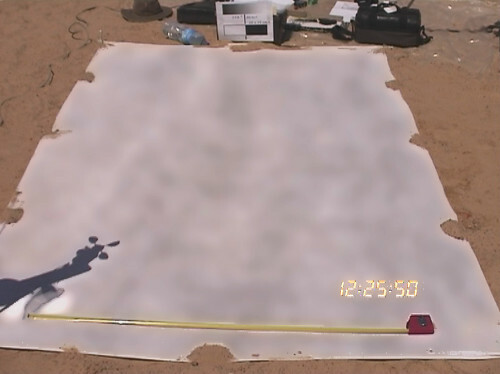 You could prepare your own by using a piece of mounted card and a pinhole. Or you could simply use your hands! This phenomenon is much harder to catch. It happens just moments before and after totality. Shadows on the floor form thin, wavy, parallel lines. This is created by the Earth’s atmospheric winds. The sun has been reduced to such a small light source that it is able to cast shadows of the atmosphere’s ‘detail’ on to the floor. A total eclipse is the only way you can naturally witness this phenomenon. 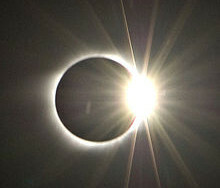 One of the more iconic images of a total solar eclipse, the ‘Diamond Ring’ hanging in the sky. This beautiful sight is witnessed during the last few seconds before totality and the few seconds after totality. The diamond ring after totality is sometimes said to be more dramatic as the blinding light from the sun returns. This is probably due to our eyes having adjusted from the darkness of totality. Immediately after the diamond ring and during totality, Prominences may be seen. They will appear as pink fiery features extending out from the black disc of the moon. They are actually giant gaseous extensions from the Sun. How many you will see, will depend on how active the sun is at the time of the eclipse. Also visible for a split second after the diamond ring, you can briefly see the sun’s Chromosphere. This shows as a pink layer very close to the black disc but quickly hides from view as totality progresses. 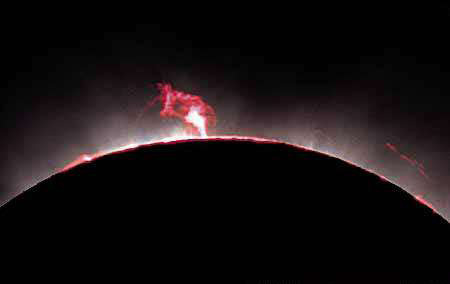 The Chromosphere is a thin layer of mainly hydrogen gas in the Sun’s atmosphere. 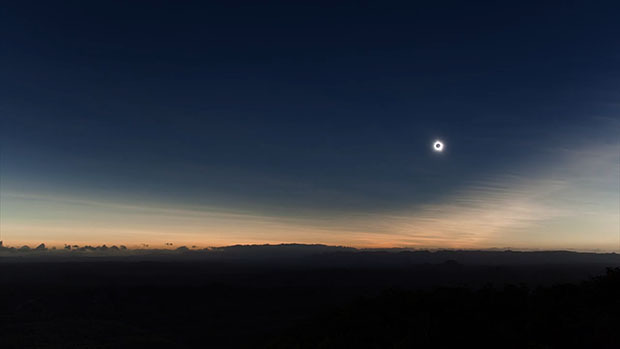 One of the most breathtaking effects of a total solar eclipse is witnessing the shadow of the moon sweep across the sky at over 1000mph from West to East. Its intensity and definition vary from eclipse to eclipse. Many factors affect how this phenomenon ‘looks’ in the sky, its speed and how dark it is. 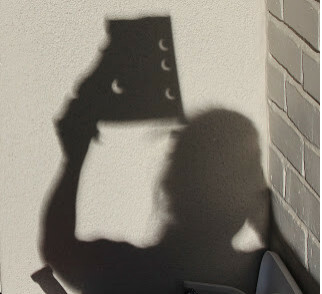 Obviously, the longer totality lasts, the larger the shadow and in turn, darker it may seem. The shadow never really tends to have a defining sharp edge. Sometimes, the shadow cannot even be seen and the sky just seems to darken. 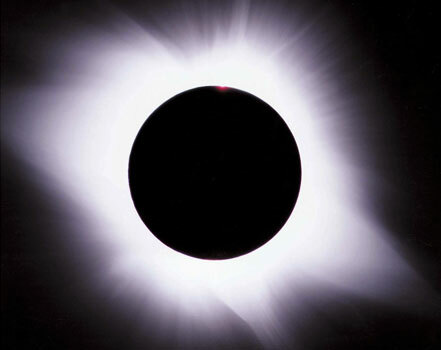 If the total eclipse occurs near the equator, the shadow will be moving slightly slower as the Earth’s apparent faster rotation near the equator tries to ‘keep up’ with the speed of the shadow as it travels East to West. Sometimes thin, high cloud can cause a more dramatic entrance to the moon’s shadow. 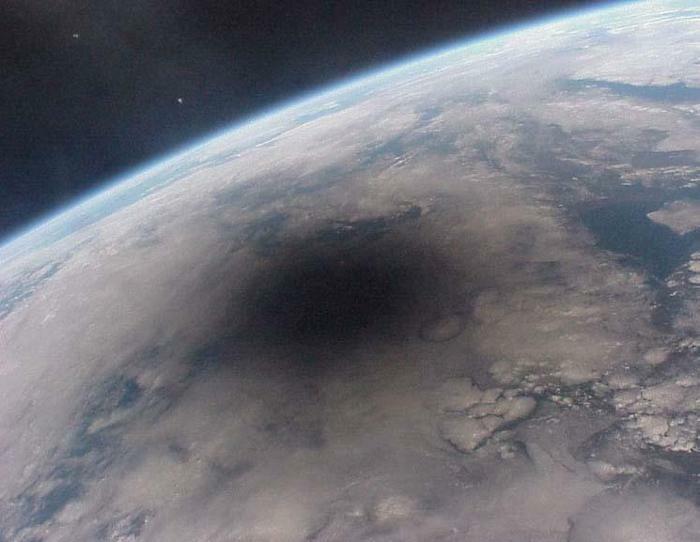 An image taken from space during the 1999 eclipse shows how the moon’s Umbra looks as it sweeps across the Earth. All the waiting has ended and totality is upon you! Only at this point can you see the outer atmosphere of the sun called the Corona. The Corona is an extraordinary sight. A pearly white structure against the backdrop of a darkened sky. It can feature streamers extending out at a distance more than twice the diameter of the sun. You can see how it follows the Sun’s magnetic structure outwards. The workings of the Corona still puzzles scientists to this day. It is primarily made of plasma and burns at a whopping 2 million degrees celsius, much hotter than the centre of the Sun itself. A good description of what it feels like during totality was described by Professor Brian Cox on his ‘Wonders of the Solar System’ series. In 2009, he watched a total solar eclipse from the banks of the Ganges at Varanasi and said it’s “the solar system coming down and grabbing you by the throat”.